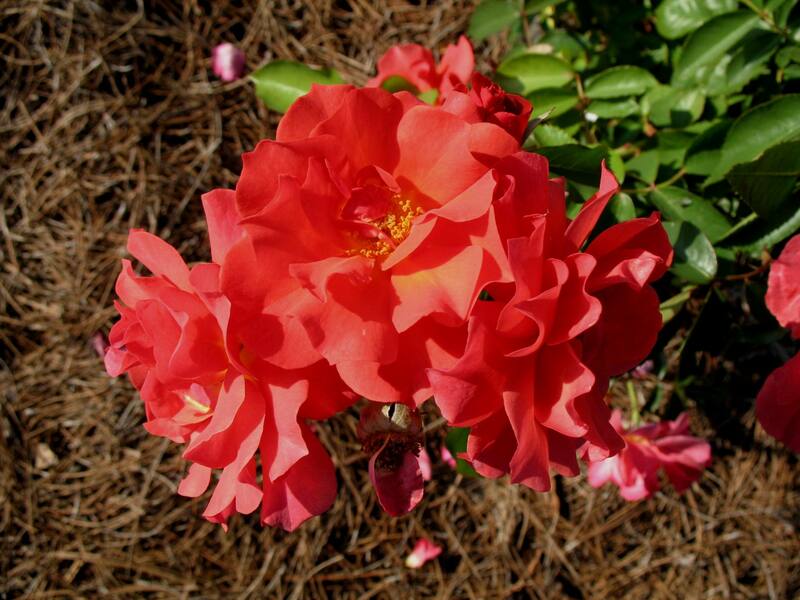 Comments: This floribunda rose produces large clusters of orange-red to lavender-red flowers. Descriptions of this rose indicate that it is a festive of colors because there are shades of several colors in the same cluster of flowers. For all roses provide ful sunlight and a well drained soil, preferably in a raised bed. Be alert to the need for spraying periodically for insect and disease pests.